A dormitory fire at the youth training complex of the Brazilian soccer club Flamengo on Friday killed 10 people and injured at least three others, state-run news agency Agencia Brazil is reporting. A Brazilian fire official told The Associated Press that firefighters responded just after 5 a.m. Friday to a blaze at the club’s Ninho de Urubu training complex, located in Rio de Janeiro’s western zone. 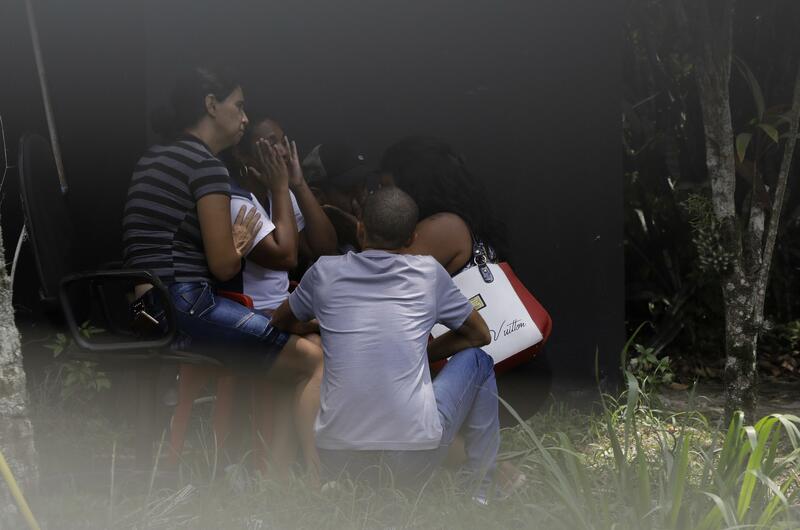 According to Brazilian newspaper O Globo, six of the 10 killed were players and four were team employees. The AP reports that the three injured are 14, 15 and 16 years old and have been taken to local hospitals, one of them badly burned. Flamengo, one of Brazil’s most popular teams, began using Ninho de Urubu (the “Vulture’s Nest”) as its training ground and home of its youth academy in 2014. O Globo reports that the fire took place in an older portion of the complex in an area that was soon to be demolished. Real Madrid forward Vinicius Junior, who began his professional career with Flamengo, expressed his condolences on Twitter, writing in Portuguese that he remembers “the nights and days” he spent at Ninho de Urubu and is “still not believing” what has happened. Following the model used in many professional leagues around the world, Flamengo brings in young players from across soccer-mad Brazil – many from impoverished conditions – to train and live at its youth academy. It’s unclear how many teenagers were living at the complex at the time of the fire, but Fluminense, one of Flamengo’s rivals, trains 350 players ages 14 to 20 at its facility, with 50 kids arriving each week for tryouts, according to a 2017 Bloomberg story. The contractual rights of the very best young players are sold to teams around the world, bringing in millions for Brazil’s professional teams, which have been imperiled by financial problems in recent years thanks to shoddy management and lagging ticket sales. Published: Feb. 8, 2019, 9:06 a.m.